Unless stated otherwise, all courses are taught by Cody Lundin. Most Skills Courses involve short, cross-country hikes to primitive base camps. While reasonable physical fitness is recommended, stamina requirements for a Skills Course are much less than for an Adventure Course. The focus of a Skills Course is to experience hands-on aspects of primitive and modern technology within a beautiful, wilderness classroom setting. Skills Courses involve basic overnight camping with some modern gear. Although packed with the same hands-on fun, lecture and demonstration as our Skills Courses, Adventure Courses are more physically, mentally and emotionally challenging. Your experiences may include increased time in the field, longer cross-country treks, limited modern gear and the realities of hunting and gathering for your dinner. While we’ve had people who were overweight to those in their 70s successfully complete Adventure Courses, reasonable physical fitness is strongly recommended. Call us if you have questions regarding your participation. Surviving In Style: Making And Using A Survival Kit. Sounds Fishy: Stone-Age Fishing Skills Sure To Get You Hooked! New courses are offered yearly so Bookmark our web site!  Sign Up for ALSS Courses Today! "Many of the most lasting lessons I took from my ALSS course were about how to teach. Cody is one of most accomplished educators I have ever met, better than most college professors. Of the various lessons he imparts, the most important one is humility before nature. A lot of people who teach survival skills try to sell fear and treat nature as a force to be conquered. Cody’s “party on” approach is exactly the opposite, it teaches respect, not fear, and instills confidence. After all, nature always wins in the long run." John J. Shea, Professor, Anthropology Department & Turkana Basin Institute, Stony Brook University, "Desert Drifter" alum, 2014. 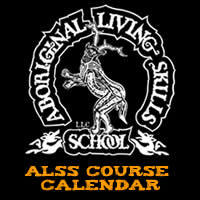 "The Aboriginal Living Skills School is certainly ambitious."